When you visit us, you will find an award-winning, full-service interior design studio experienced in working with architects and contractors on new or remodel projects. We help make your space function and feel like you’ve always wanted it to. Affordable luxury, from upholstery and case goods to beautiful throw pillows and home accessories, can be found inside At Home and Co. 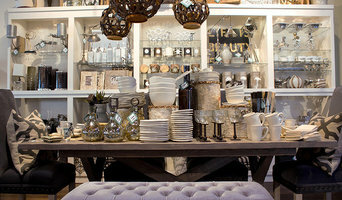 Here at our 50th & France location in Edina, we know homes, we know accessories and we know design. Our team of interior designers are on hand every day to help you select that perfect accessory or to design your entire home from our distinctive retail space and vast design library. Tami Holsten is the owner and principal of Bear Trap Design, a residential interior design firm specializing in enduring, classic style. With a passion for sophisticated beauty and clean design, Tami believes in the importance of surrounding ourselves with the things we love. Her design style exemplifies timeless beauty with an element of surprise – and her clients are delighted. With an uncanny attention to detail, Tami gets to know her clients very well, then reflects their style in an authentic representation of their tastes, lifestyle and preferences. Tami enjoys the “thrill of the hunt” to find the perfect piece that not only embodies the client’s style, but is something they LOVE. “I tell clients, if you don’t love, love, love it, we’ll keep looking. Settling for anything less is just not an option. Bell Interiors is owned by Natalie Riesselman. Natalie has a Bachelors degree in Interior Design and Construction Management. Her work has been featured in This Old House, Romantic Homes, Victorian Homes, and Cottages and Bungalows Magazines. Her passion is in adding the details that make a house really feel like a home. She is a savvy shopper and can work with any budget to transform even the simplest space into something truly unique. 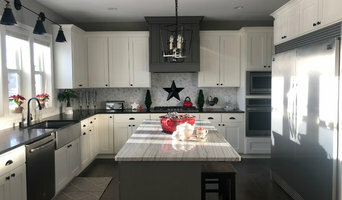 Watermark Design Group is a Architectural & Interior Design company based out of Excelsior Minnesota. We are a unique design company that helps each of our clients with their individual needs. No two projects are the same and we love that. Trusting, long term relationships with our clients mean everything to us. We pride ourselves on our responsiveness to each client’s very individual vision. Our projects are truly collaborative efforts - listening well is one of the most valued skills. Our clients come back to us over and over when they have new projects in mind, knowing the service they receive is second to none. The majority of our new clients are referred by our existing clients. We are proud of what we do. Please contact us for more information and why you should be working with us on your next project. I have twenty years of experience in the furnishings industry, working on both residential and commercial design projects. My approach and commitment to my clients begins with listening to their needs. 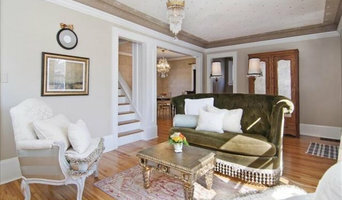 I then designs custom spaces, in partnership with each client, that both inspires them and reflect their personalities. I work closely with clients to help them make timeless selections so their designs can easily evolve over time. My designs are layered to bring a sense of understated elegance while adding touches of whimsy that reflects my clients unique personalities and style.